Prominent & Leading Manufacturer from Vapi, we offer ayurvedic pcd franchise, herbal pcd franchisee opportunity in gujarat and ayurvedic pharmaceutical marketing services. Vitawin offers career opportunity in Pharma Franchise Marketing. We welcome you to enjoy the complete monopoly rights and establish yourself. 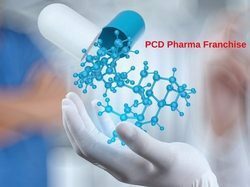 We offer PCD Franchise or PCD Distributorship for a wide range of products throughout India and abroad. Vitawin offers career opportunity in Pharma Franchisee in Gujarat We welcome you to enjoy the complete monopoly rights and establish yourself. We offer PCD Distributorship for wide range of products throughout India and abroad. Today the company is exporting its products to UK, Mauritius, and parts of Europe. At GreenCross Health Innovation, the knowledge of Ayurveda is complimented with scientific research and modern manufacturing techniques. After a decade of extensive research and development studies, GreenCross has manufactured a unique range of authentic Ayurvedic formulations for promoting natural health and wellness. We have over 50 medicines in our existing range of Ayurvedic Medicines, for treating a wide range of ailments and body conditions. GreenCross is experiencing accelerated growth, since its inception in the year 2002. The profound knowledge and rich experience of the Team has assisted the company to acquire distinguished position amidst the dependable. GreenCross is promoted by expert team and successful and renowned industrialist, who have been associated with Ayurvedic medicines, for more than two decades. The Team has a panel of doctors and experts along with the business and market expert. we are offering a wide range of Pharmaceutical Marketing Services. Offered range of products is formulated as per the industry defined parameters using high-grade ingredients and the latest technology under the direction of domain experts. In addition to this, we also offer training programs for our new franchise.